Cooking Thanksgiving dinner this year? A few Lean tactics for eliminating waste might help you create a memorable dinner that not only tastes good, but also helps you optimize time spent in the kitchen. 1. Eliminate the waste of overproduction by having a guest count. I know it’s in the back of every Thanksgiving host’s mind, but the question of having enough food and over-preparing can lead to excess left-overs and wasted food. To avoid having too much, do a little prep-work before the big day and get a ballpark count of how many guests—adults and children—you’ll be feeding. This can help you decide if it makes sense to make three green bean casseroles or just two. And if you’re truly worried about not having enough food, buy a small turkey breast that you can keep on hand if several unexpected guests make an appearance. Turkey breasts can be roasted in the oven in only 40-50 minutes, and if you don’t use it on Thanksgiving Day, it can make for a quick dinner the next week. 2. Eliminate the waste of waiting by planning ahead. 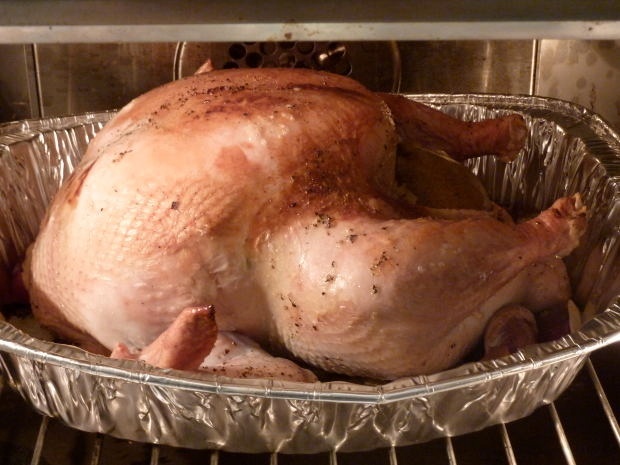 To eliminate the risk of keeping your guests waiting because dinner is taking longer than expected—be sure to have your turkey properly defrosted so the cooking time isn’t added. Try to have as much food pre-made as possible. Casseroles can be prepped a day ahead of time and kept in the refrigerator until baking time. Small time savers like snapping the ends off of green beans the day before, or baking pies a few days ahead can eliminate the waste of waiting for guests (especially if you’re working with only one oven). Foods that just need re-heating have a much faster time-to-table than foods that need to be fully cooked. 3. Eliminate your waste of inventory by not falling for holiday sale pricing. This goes along with having too many left-overs that might spoil, but also be wary of buying excess stock in Thanksgiving foods “just because they are on sale.” It might be tempting to buy 10 cans of pumpkin because of their sale price, but if you only use 1-2 cans of pumpkin once a year to make pumpkin pie, why have so many extra that could go unused? 4. Eliminate the waste of motion by restricting visitors to your kitchen. If you have a small kitchen, it would be to your benefit to keep excess visitors out. If you happen to be dealing with "too many cooks in your kitchen," set up factory-like stations. Have one person start to wash big pots and pans that have already been used for cooking to free up space for dirty dinner plates after the meal. Have another person set up desserts and pre-cut pies, and send another helper to set the table. These are just a few Lean Thanksgiving preparation tips that might help you spend less time in the kitchen and more time relaxing with family and friends! If you're really interested in eliminating excess time from your Thanksgiving Day preparations, illustrate your process with a current state value stream map to identify waste and help you envision an improved future state. What lean manufacturing tips have you used as time savers to optimize chaotic holiday times in your kitchen? Happy Thanksgiving from all of us here at Minitab!